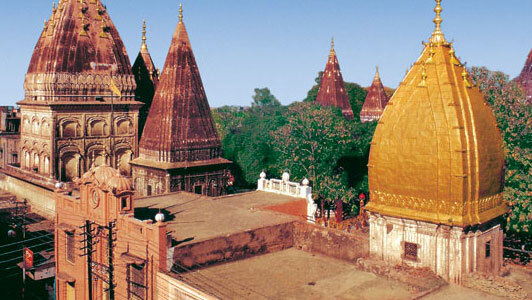 Raghunath Temple has been dedicated to Lord Rama who is one of the primary Hindu deities. The temple was constructed by Maharaja Gulab Singh who was the founder of kingdom of Jammu & Kashmir and the work on the temple began in 1835 A.D. After his death the work was completed by Maharaja Gulab Singh’s son, Maharaja Ranbir Singh. The construction of the temple was finished in the period of 1853-1860 A.D. The main temple’s inner wall is covered with gold sheet on the three sides of the temple. The temple also has a vast gallery which has various “lingams” as well as “saligrams” that are placed for the general public as well. TThe Raghunath temple has a historical significance and there are multiple temples that surround the main temple and these temples are dedicated to the multiple Gods and Goddesses that are connected with the times of the epic Ramayana. This popular temple in Jammu is renowned for the temple’s depiction of Rama Leela and also of the Krishna Leela in its beautiful paintings. Prevalent legend suggests that the temple is dedicated to Lord Rama and was originally built by Raja Jagat Singh of Kullu in order to correct a major wrong that was done by him. The main idol that is placed inside the temple was brought back from Ayodhya which is the birthplace of Lord Rama according to the Ramayana. Copyrights © 2016 The News Now . Powered by Ideogram Technology Solutions Pvt. Ltd.